50 cents, $1 or $1.50 doesn’t buy you much food in Australia. 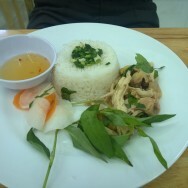 However, on the streets of Vietnam $3 will get you all 3 dishes above. 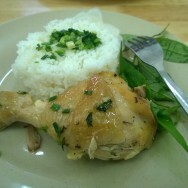 10,000VND (about 50 cents) gets you some torn up boiled chicken and rice. 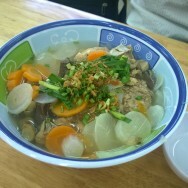 Doubling that will upgrade you to a drumstick and splashing out all of 30,000VND will get you some meaty bits, some rice noodly bits and some vegetably bits in a hot soup. Oh, don’t forget they all come with complementary fish sauce, pickles and some leaves representing herbs. These meals aren’t served on a footpath or street. As seen in the images, it’s a surprisingly clean yet simple restaurant featuring wooden tables and cutlery. Not a plastic table in sight! Only the plastic stools serve as a reminder you’re in Vietnam. This is not fine dining nor does it pretend to be. It is such a satisfying meal due to its simplicity. 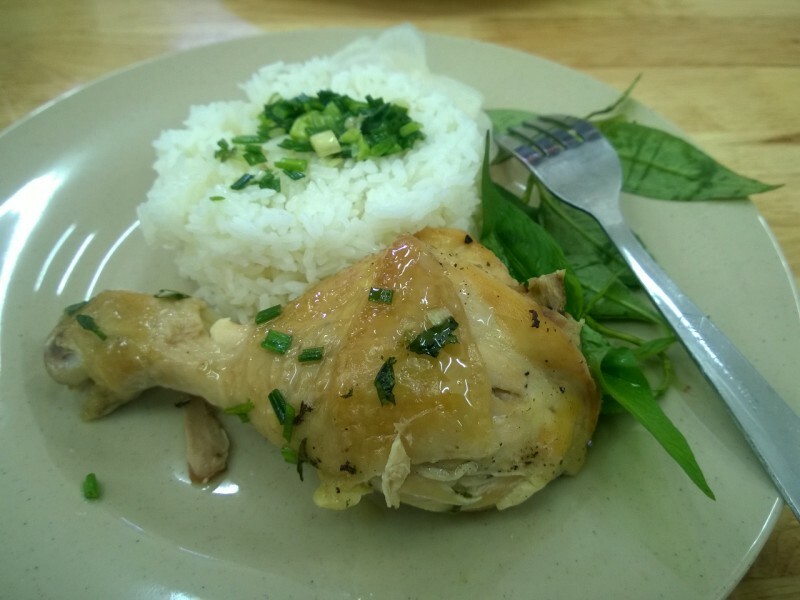 Although most hungry adults would need 2 servings that still represents killer value for money as far as I’m concerned, even on the streets of Vietnam.